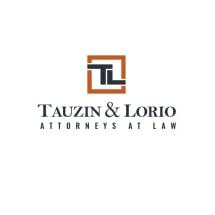 The law firm of Kevin P. Tauzin, APLC is located in Lafayette, Louisiana. Our firm provides a broad range of legal services. Our firm represents and advises clients in the areas of personal injury-plaintiff, admiralty and maritime law, products liability, and workers' compensation. We represent clients in every level of state and federal courts. We are committed to the pursuit of excellence, communicate effectively, and demonstrate the strictest personal and professional ethics as well as the utmost concern for our clients. We utilize state-of-the-art technology and cost-effective methods to provide services in a timely, client-oriented manner and ethical, friendly and professional environment. Our approach focuses on each client's background, needs, and goals, and we are committed to responding promptly to telephone calls, to reporting on cases regularly, and to minimizing and eliminating risk by informing clients of significant changes in the law. Contact us today at 337-988-7588 for a free initial consultation.